I know lots of prayers went out last night for the protection of Florida in the path of a tropical storm that gained strength and became a category 1 hurricane, the first here since 2005. Its power didn't last as it was soon downgraded to a tropical storm again. It may be difficult to believe that with faith in God and Christ, we can mobilize legions of angels to come to our aid in all kinds of impending disasters. 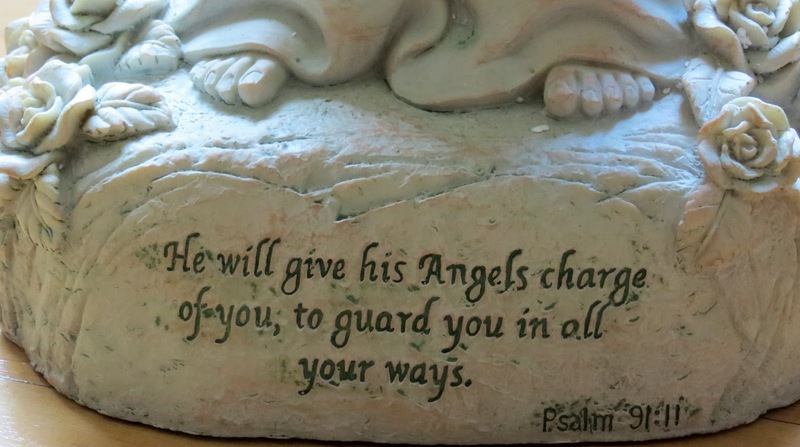 The Angels minister to God's children and hearken to His Word. I have found that by praying Psalm 91, a peacefulness comes over me, and with the powerful assistance of angels comes victory. I pray it everyday for protection and guidance. to guide and protect you in all your ways." Angels are real live beings that were created to serve a real purpose. To help watch over us so we can fulfill our divine mission. They are a blessing and should not be taken lightly. These mighty messengers have authority to carry out assignments but will not do the work alone for us. We must partner together through the power of the Word to get results. Thank you, Angels, for all that you do to assist humanity at this hour of change and transformation.